Moomin bowl Moominpappa by Arabia presents the father of Moomintroll. Moominpappa has an adventurous character and he loves the ocean, but he also wants to spend his days writing, thinking and resting. 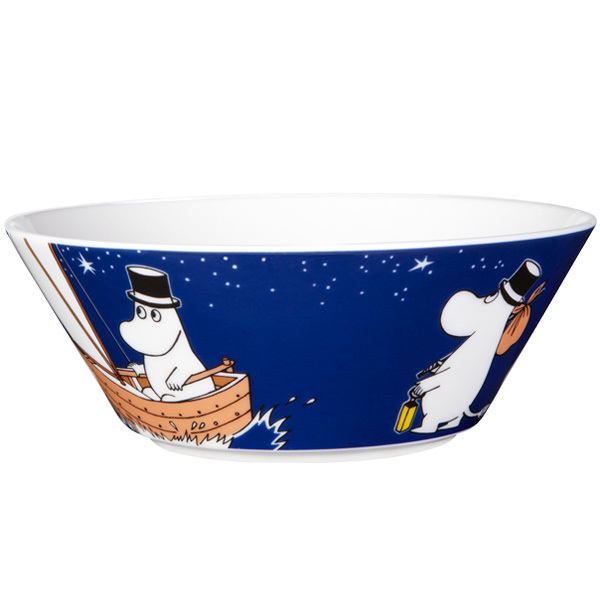 The ceramic Moomin bowls cheer up any table setting, and their simple design is great for serving soup, cereals as well as desserts.